PDFs are a convenient and easily accessible document. However, you may want to convert your PDF to a Word Document so you can edit it. Just remember that you won’t be able to convert any images from the PDF to a Word Document — you will have to reinstate them afterwards. If you want to know how to convert your PDF to a Word Document in a variety of ways, just follow these easy steps. * Sign in to your Google account and go to Google Docs. In the right upper side of the window there is a folder icon for uploading new files (right under your avatar). Click on it to proceed. * Upload a PDF file from your computer either by dragging the file right into the window or by pressing “Select a file from your computer” button which opens your Windows Explorer to browser the computer. 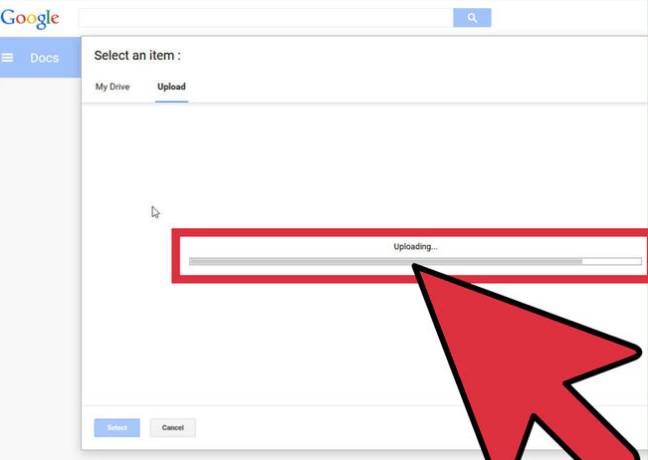 When the file is uploaded, it will be immediately uploaded to your Google Drive and right away opened for preview. 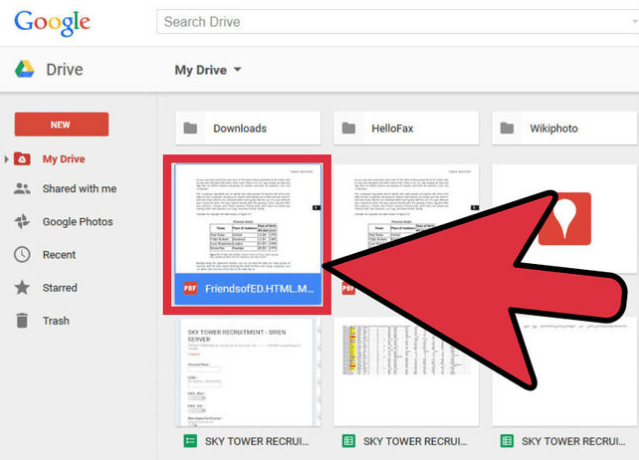 * Go to your Google Drive account and in the list of the files you can see your added PDF. Right-click on it, select “Open with” option from the menu, and then select “Google Docs”. 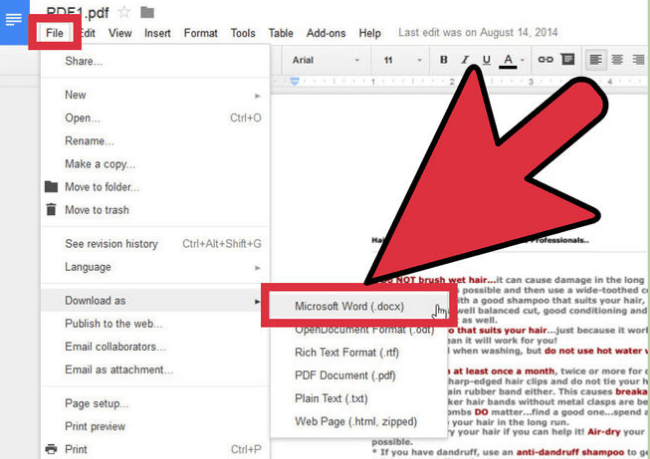 * When the file from Google Drive is opened with Google Docs, proceed to the “File” menu in the upper left corner of Google Docs window, select “Download as” option and there go with “Microsoft Word (docx)”. As soon as you click on this option, downloading of your file starts.